Chang’s onboarding and Trollope’s offboarding was the start of a long list of leadership changes for Cisco. In the months that followed, several of Cisco’s executive leaders moved on to other companies. Most notably among them are former CTO for Cisco Collaboration Jonathan Rosenberg, who followed Trollope to Five9 and now serves as CTO and head of AI for the company; former GM of Cisco’s Unified Communications Technology Group Tom Puorro, who now serves as the EVP and GM of Group Systems at Plantronics; and former VP and GM of Cisco’s TelePresence and IP Phone business unit Snorre Kjesbu, who is now the head of product creation & fulfillment at Bang & Olufsen. In addition to a cohesive product portfolio, Chang said we should expect to see the leadership coming together as a unit. Whereas in years past, Cisco would have one or two leaders be the faces delivering company strategy and vision, “now you’re seeing a whole new kind of leadership team come together and present the products, and the strategy, and the roadmaps to you… Why? Because the entire leadership team is working together as [one]” – and everybody is hungry for success, she said. Chang has big plans for the role of AI in Cisco’s Collaboration portfolio, where it already provides facial recognition and automatic framing features in the company’s video systems and in the Webex Assistant, which understands voice commands for tasks like scheduling and starting meetings. But remember, when Chang came on board, she brought all her Accompany technology with her, and there are plans in the works to bring this to market in Cisco’s portfolio. By pulling the Accompany tech into Cisco’s products, users will be able to prep for meetings like never before, Chang said. In a demo, Chang showed how a user would be able to select a meeting attendee from the Webex directory to pull up an interactive dashboard of information about that person – current title, previous employment, social network circles, educational background, related articles, and even prompts for things to mention about key interests. Chang and her team at Cisco call this “cognitive collaboration,” and they believe it’s the next big thing that’s going to change the way people interact and work. It will help users know how to talk to a person, so that they can “relax into the human part of the meeting,” she said. 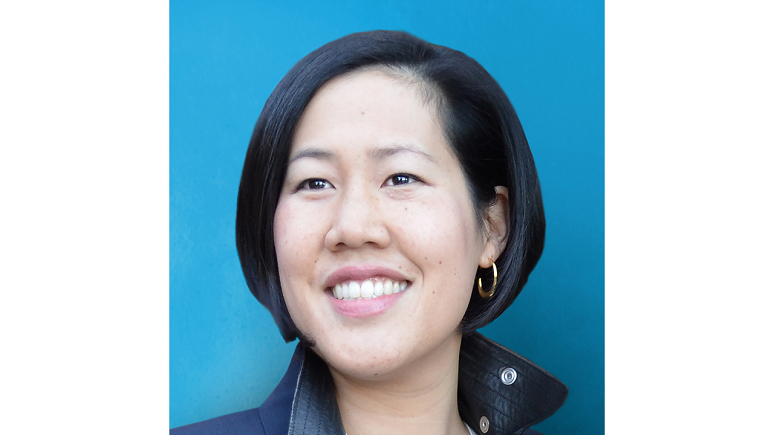 As noted earlier, Chang will be sharing her vision and strategy from the keynote stage at Enterprise Connect 2019, coming March 18 to 21 in Orlando, Fla. If you haven’t yet registered, do so now to take advantage of our Early Bird Rate. Use the code NJPOSTS at checkout, and save an extra $200.